I‘m honored to perform “The God Box” anywhere but I must admit that staging the show in sunny Florida for January 29 really warms my heart–for a lot of reasons. Yes, the slushy ice and bitter cold of NYC are getting close to unbearable and trading snowboots for flip-flops sounds appealing. 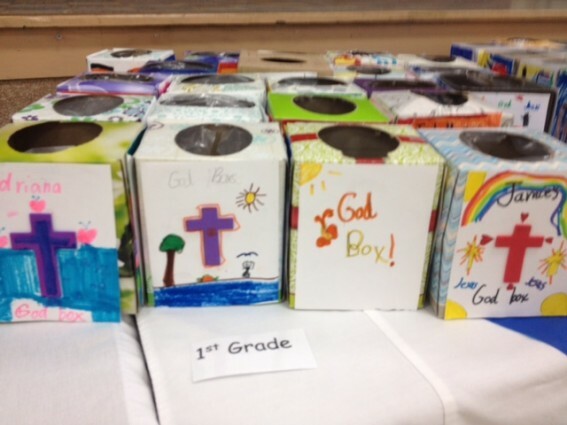 But it was Gina Groch, principal of St. Charles Borromeo School in Port Charlotte, Florida who won me over. 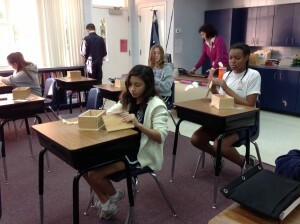 Gina, also a Philadelphia native, leads a wonderful Catholic school there, but one in need of real financial support. Her students, from first through 8th grade, have been making their own God Boxes all year long. (When you consider how many worries and wishes children carry on their shoulders today, sounds like a beautiful idea!) I can’t wait to do the show on Wednesday night in the Parish Auditorium at 6:30PM with all proceeds going to the school. If you are in the area, please join us. 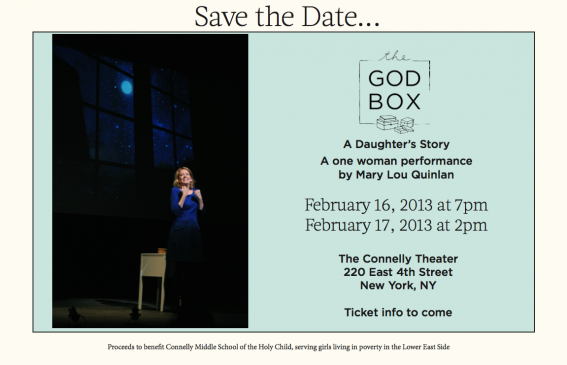 Go to the events calendar on The God Box Project website for ticket details. 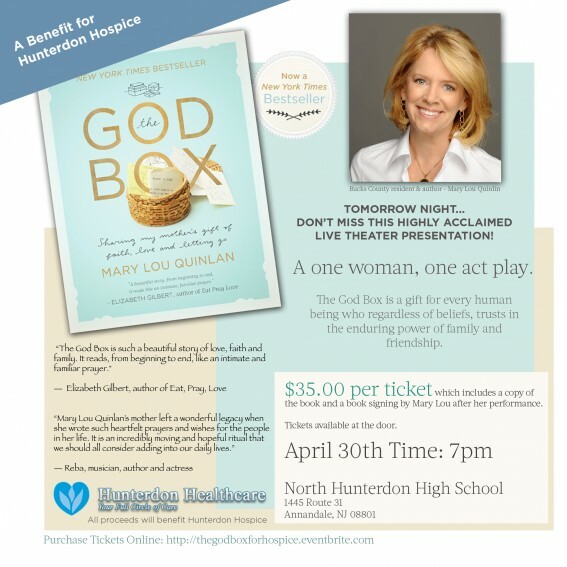 Please join me tomorrow as I perform “The God Box; A Daughter’s Story” at North Hunterdon High School at 7 PM. 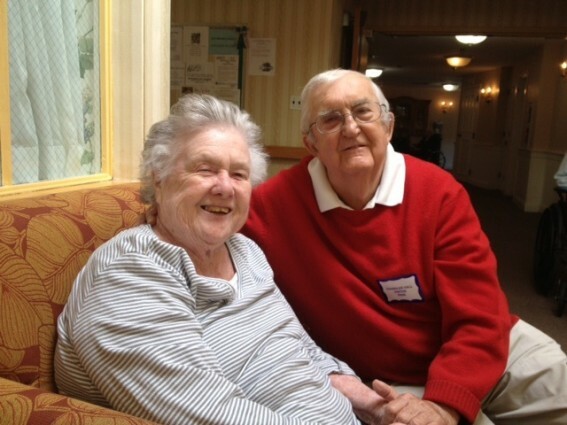 All proceeds will benefit Hunterdon Hospice. I hope to see you there! 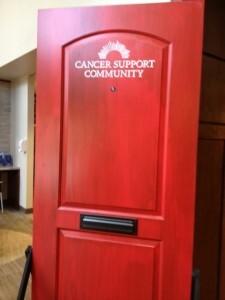 This door represents the Cancer Support Community program at the Greenville Health System’s Cancer Institute. 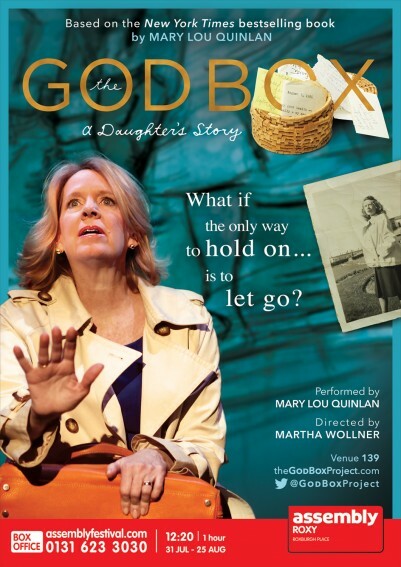 Last Tuesday, as you will read in the article HERE, “The God Box” performance raised $10,000 to support a new Mindfulness program to help cancer survivors cope with strength and awareness. What a beautiful door to walk through!